By Robin Gallaher Branch 296 pgs. Much has been written about prominent women of biblical history like Sarah, Ruth, and Esther. 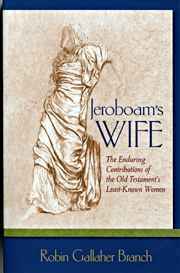 However, relatively little attention has been paid to the obscure women of the Old Testament whose words are not recorded in the Bible and some of whom aren’t even named. Yet often these less promi-nent women played important roles in shaping the unfolding of God’s plan. Indeed, the appearance of such obscure women sometimes signals the emergence of some great event. More than that, these lesser-known women, frequently faced with seemingly impossible circumstances, modeled unflinching integrity and moral courage.